The AIMS 2019 Conference will be the premier event of the year in the AIMS Calendar. AIMS actively supports qualified mine surveyors in maintaining their competency by conducting regular CPD (continuing professional development) events, including an annual major Conference. AIMS also plays a significant role in mentoring the next generation of mine surveyors. 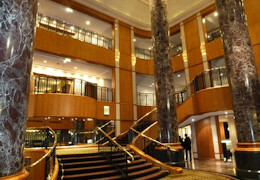 The 2019 conference will be held at the Sheraton Grand Sydney Hyde Park. The dates have been set at Wed 14th August to Fri 16 August in 2019. Please bookmark this website and come back soon for updates. Chris May, 2019 Conference Convenor. We asked our 2018 conference sponsors a few questions to introduce themselves. This site is specifically dedicated to the annual AIMS Conference.